Society’s go-to treatment method for headache pain relief continues to be over-the-counter (OTC) oral medications. However, studies show OTC painkillers — not just opioids — also are being misused in America. All of this is leading many people to question their options for alternative headache pain relief. Here are a few items to consider when determining the pain relief method that’s right for you. Too often though, headache risk factors are coinciding. This can make it difficult to truly pinpoint why you suffer. Despite this, medical experts have discovered a variety of ways to minimize the duration, intensity, and frequency of headaches. This is good news for the nearly 40 percent of the world’s adult population, which struggles with tension-type headaches (TTH). These are mild to moderate headaches with few or no other symptoms. Another 11 percent of adults suffer from migraines, a neurological disorder characterized by episodes of headache attacks, often accompanied by nausea and sensitivity to light or sound. It’s helpful to understand what you’re looking for in headache pain relief before considering all the options. Are you seeking to reduce pain or the length of an attack? Or are you desiring a method for reducing how many headaches you get or how often they occur? Most headache sufferers appear to be focused on pain relief during an attack. A study published in 2017 in the Journal of Headache and Pain reported 57 percent of people with migraines and more than 80 percent of TTH sufferers rely on OTC meds as their primary means of combating head pain. Such medications include aspirin, ibuprofen, and acetaminophen. The convenience, low cost, and fewer serious side effects of these drugs appeals to headache sufferers, the study showed. 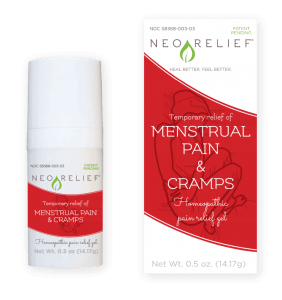 Topical pain relief— Creams or gels with analgesic or anti-inflammatory properties, like NeoRelief for Pain, target and soothe pain receptors contributing to your headache. 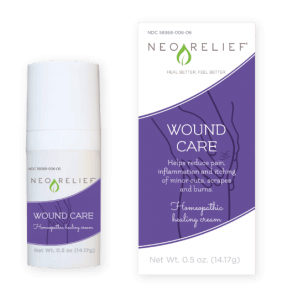 NeoRelief for Pain is an easily absorbed, clear gel made from active botanicals and minerals. This topical option can be applied to the forehead, back of the neck, and upper shoulders for targeted headache relief. Lavender or peppermint oil— Lavender is known for its sedative properties. It can help regulate serotonin, an important mood chemical in the brain. It’s believed to be effective at decreasing stress-induced headache pain. Peppermint oil, when applied to the forehead or temples, can stimulate blood flow and soothe muscle contractions, alleviating pain. In two separate studies evaluating the effectiveness of these two oils, participants reported a reduction in the frequency and severity of their migraines. Herbs, vitamins, and minerals —There’s strong evidence that magnesium deficiency may contribute to migraines; thus, magnesium dietary supplements may help prevent and reduce the frequency of headaches. Soaking in a magnesium-flake or Epsom salt bath is a popular way to relieve headache pain. Magnesium helps regulate the brain’s stress response and cellular energy levels. Some evidence exists that herbs feverfew and butterbur also can help prevent migraines or reduce their severity. Alternative therapies — Chiropractic, acupuncture, biofeedback, and Botox also can provide headache pain relief. However, the goal of these alternative therapies is typically reducing headache frequency and intensity over time. These treatment options tend to require multiple visits with a clinician or care provider. When using OTC medications to treat headache pain, be sure to follow dosing instructions on the packaging or consult your physician. When used improperly, nonsteroidal anti-inflammatory drugs (NSAIDs), like ibuprofen, can cause gastrointestinal bleeding, ulcers, kidney problems, and a higher risk of heart attack. Additionally, acetaminophen overdose is the leading cause of acute liver failure in the U.S.
A study published in January, and reported on by the Chicago Tribune, looked at NSAID use in a sampling of 1,500 adults and found 15 percent had popped too many painkillers, exceeding the daily maximum dosages at least once a week. When surveyed, many participants also revealed they had taken too much of a single NSAID, taken two different NSAIDs together, or had taken a second dose earlier than recommended. Although it’s well-meaning to take an aspirin or ibuprofen at the onset of headache symptoms, it may not be the best course of action, according to the American Migraine Foundation. With headaches, misuse or overuse of common OTC pain relief actually may result in more headaches. Healthcare providers deem these drug-induced headaches “rebound headaches” or medication overuse headaches. Why does this occur? Because the brain learns and develops habits through repetition. And, OTC pain relief medication temporarily alters how the brain detects pain. Thus, the American Migraine Foundation claims frequent use of OTC meds could lower your pain tolerance by reinforcing the neuronal pathways that process pain. The risk for rebound headaches is greater when the recommended daily dosages are exceeded, or when the medication is used for more than 10 to 15 days a month, the American Migraine Foundation says.